We have been busy at Small Space over the last few weeks and have a new range of Roman glass in store. 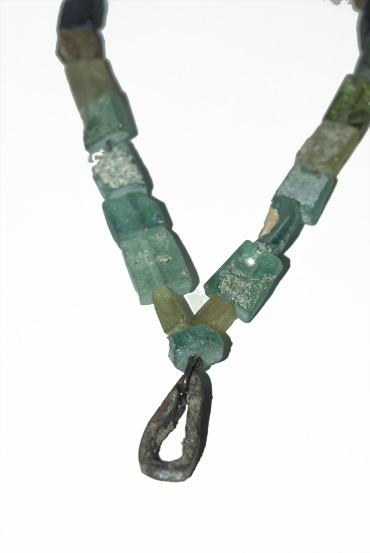 The fragments of glass have been sourced mostly from the Afganistan desert region. Small pieces which have been drilled and some shaped, then transformed into beautiful wearable pieces of art. Each small piece of glass showing opalescence, tribute to its age and beauty. Pay us a visit to see the full range.